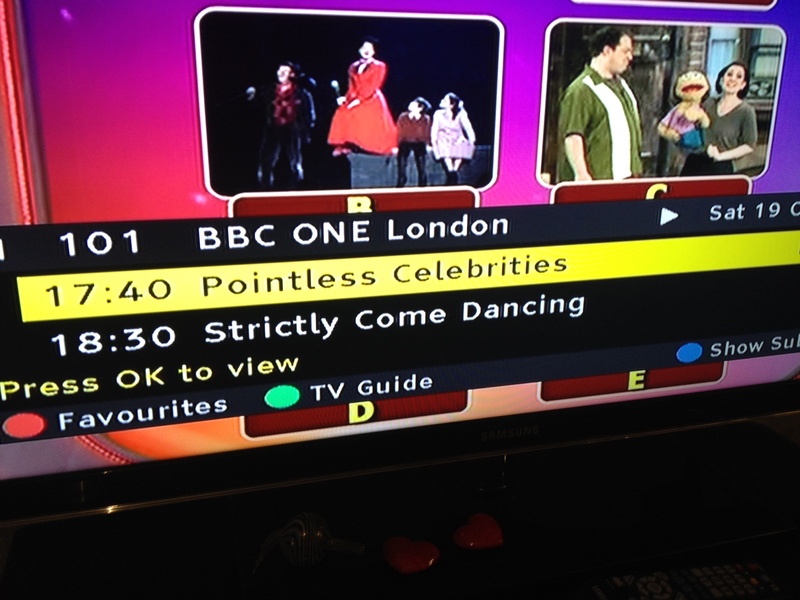 Pointless Celebrities Strictly Come Dancing. Do they? Without giving away too many of my views this shot of the TV programmes amused me. Surely not a single programme……..